A forum for the GEOVIA User Community to get up-to-date with the latest GEOVIA Software improvements and discover the latest digital innovations from Dassault Systèmes for the mining industry. In partnership with the Turkish Association of Economic Geologists & Turkish Gold Miners Association. Attend the Forum to learn about the latest developments in GEOVIA Mining software solutions and recent, important software updates that you may have missed. The forum also provides a unique opportunity to gain an insight into the 2019/2020 GEOVIA product development road map, be amongst the first to know what’s on the horizon. 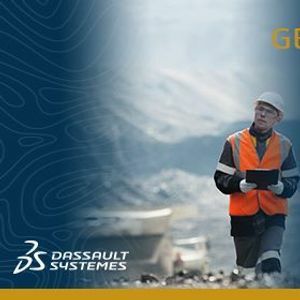 There will also be an exclusive introduction and demo of the 3DEXPERIENCE platform, a disruptive digital innovation from Dassault Systèmes, that is already helping mining operations around the globe, to increase collaboration, efficiency & productivity. • Case Studies and much more! Free Registration for GEOVIA Users and Mining Professionals. Sorry the event is not open to students. 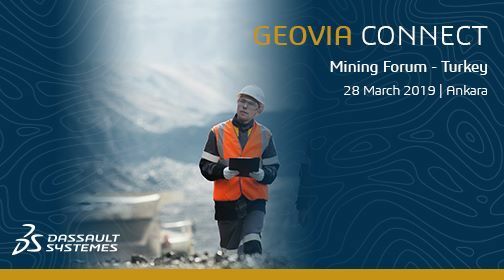 We hope you will join us and take advantage of the opportunity to attend this free information packed Forum and to network with the GEOVIA User Community and Mining professionals in your area. Plus, enjoy complimentary lunch and refreshments, through-out the day.